Designed to protect metric threads and fittings from damage, dust, debris and contaminants. 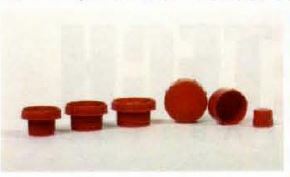 WW Series tapered caps and plugs with wide, thick flanges prevent unnecessary force in an opening when used as a plug. 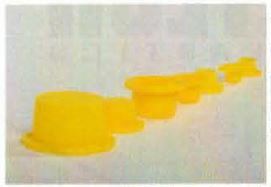 Slightly thinner wall and smaller diameter flanges than WWX Series. 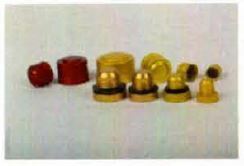 EC Series caps are designed to fit 36- and 68-pin Champ 050 series connectors and 50-pin Champ-type connectors. connectors. 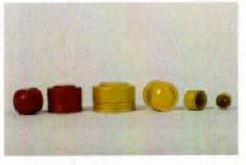 In addition to dissipating electrostatic charges, they provide an electrical shield over the end of the connector. Metric (RPO Series) plugs provide positive dual seal on SAE straight-threaded ports. 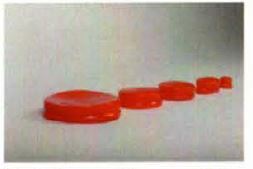 Integral O-ring-type bead seals into bevel of threaded opening to prevent oil or fluid leakage. 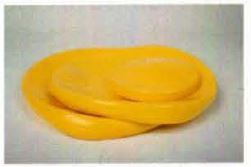 A lip on the flange compresses against the surface to keep contaminants from the spot face. Easy to install or remove with a slotted 12-point head for screwdriver, socket or wrench tightening. 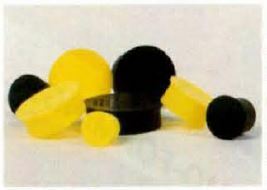 PK “Baseball Style” Protective Caps and Plugs are recommended by PWC under Service Bulletin SIB 1673R1. Please read the Service Bulletin for additional information. Resists weather, moisture and chemicals. 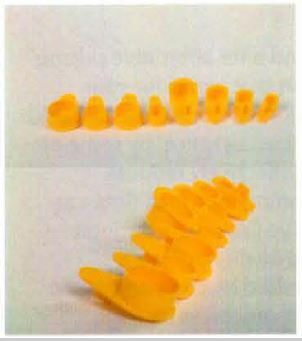 Cushions against abrasive contacts. ASP Series threaded aluminum plugs protect 37° flared fittings and straight-threaded ports.